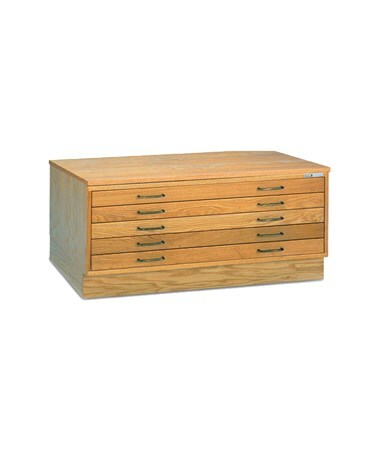 The Mayline 5-Drawer Wood Plan File is perfect for storing large-format documents such as maps and blueprints. 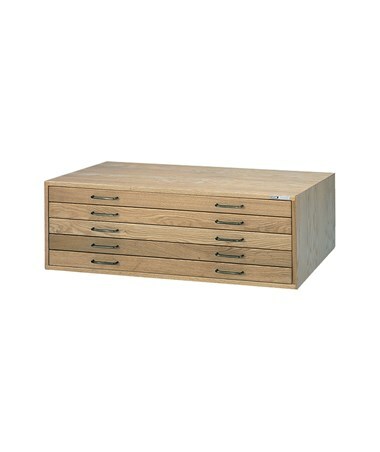 The drawer fronts and case sides of this elegant plan file are finished in oak, while the drawer bottoms are made of hardboard. It also features antique brass drawer pulls. 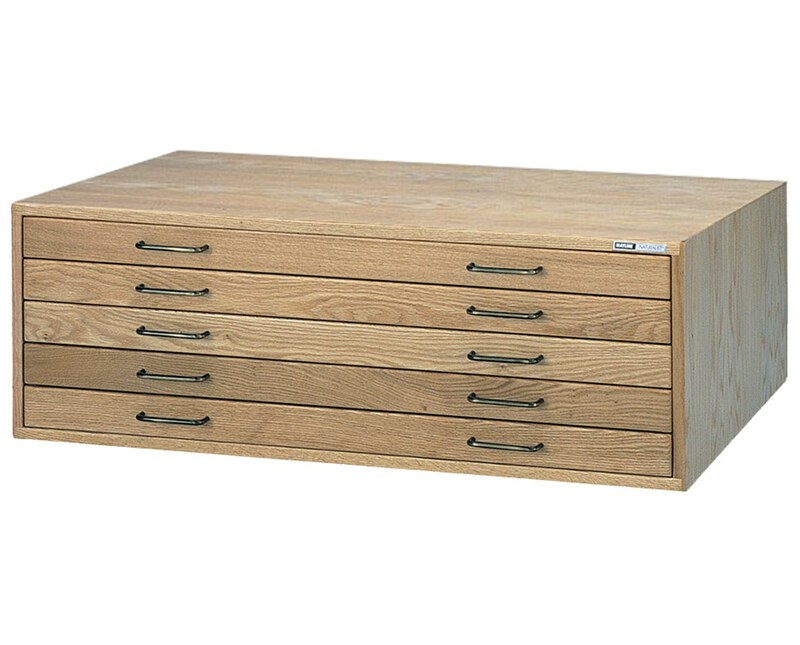 This wood plan file can hold up to 200 sheets vellum and has a weight capacity of 40 pounds per drawer. 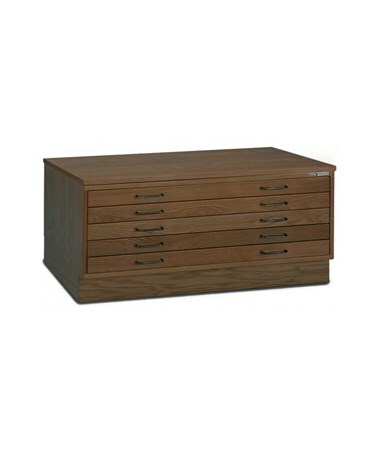 It is easy to assemble and comes with a limited lifetime warranty. 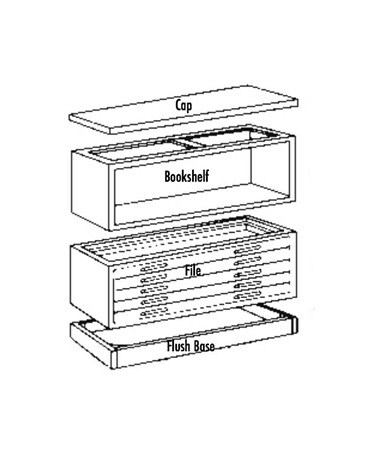 Please Note: The cap and flush base in the image are sold separately. 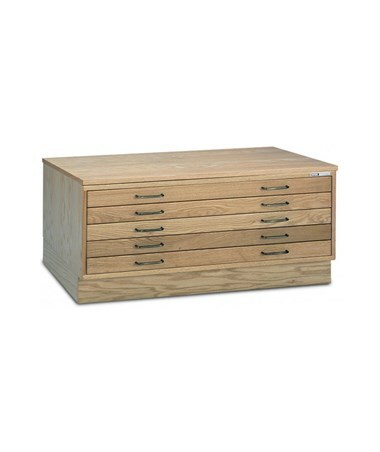 The Mayline 5-Drawer Wood Plan File offers three sheet sizes and colors that suit your storage needs. Please choose your preference from the drop-down menus above.